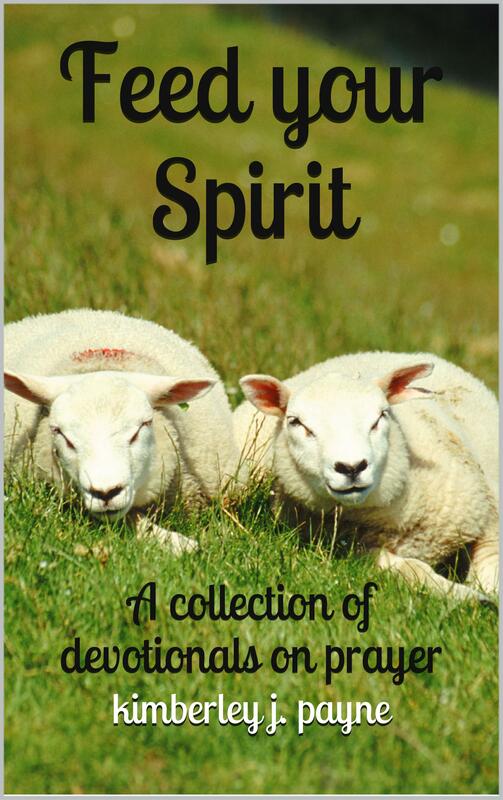 Feed Your Spirit is a collection of devotional articles on prayer. When I was a child, my dad led each dinner meal with the “Our Father “. The rest of the family would listen to the first half of the prayer and then join in for the second half. At bedtime, my mom would tuck me in, give me a kiss on the cheek and say, “Don’t forget your prayers.” I never did. My childhood bedtime ritual included brushing my teeth, lying on my back in bed and pulling my stuffed dog, Fonzi, under my arm and saying my prayers. I started with a prayer I’d learned at Brownies. “Oh Lord our God, thy children say, grant us thy peace and bless us all.” Imagine my surprise when years later, my brothers and I bought our parents a grandfather clock as an anniversary gift and the song it played at each hour had the same tune! To this day, I sing the little prayer each time the clock chimes the hour. As a young adult, I tried to continue my night time ritual but found myself too tired to follow through and usually just flopped into bed exhausted. At dinner time, I would do a quick sign of the cross and an “amen”. It wasn’t until I gave my heart to Jesus in my thirties that I began to relook at my practice of praying. I desired to offer to God more than my rote and ritualistic prayers. I wanted my prayers to have meaning to myself and my children. We began saying the Lord’s Prayer at dinner, but we added a small devotional to read first. We also began saying prayers at night together. I read books, blogs, and devotionals about prayer. I took Bible studies on prayer. I learned that it’s not just talking to God, but listening to Him as well. It’s communicating with God, my Father. It is a privilege to pray. I encourage you to look at your prayer life and ask yourself if it’s all that it can be. “Be joyful always; pray continually; give thanks in all circumstances, for this is God’s will for you in Christ Jesus” (1Thessalonians 5:16-18). This entry was posted in Book Showcase and tagged Christian, devotional, prayer, rote prayers, the Lord's Prayer by Kimberley Payne. Bookmark the permalink. This ebook is now available for free on Smashwords. I’m trying to get Amazon to offer it for free on Kindle too. Hopefully it’ll be changed soon.